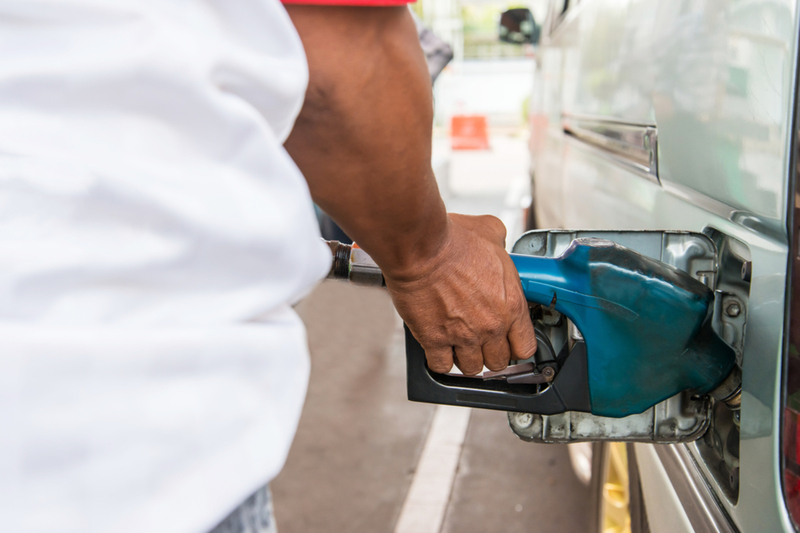 August was the biggest month ever for U.S. gasoline consumption. Americans used a staggering 9.7 million barrels per day. That's more than a gallon per day for every U.S. man, woman and child. 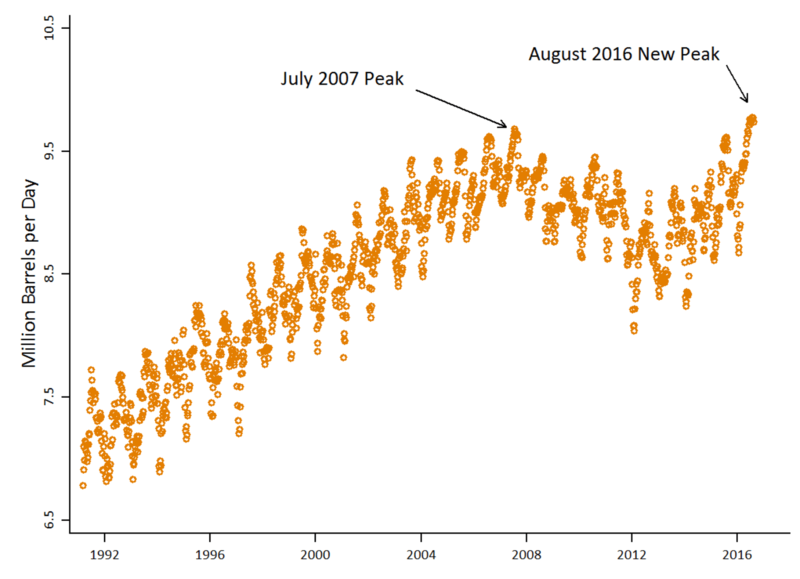 The new peak comes as a surprise to many. In 2012, energy expert Daniel Yergin said, "The U.S. has already reached what we can call`peak demand." Many others agreed. 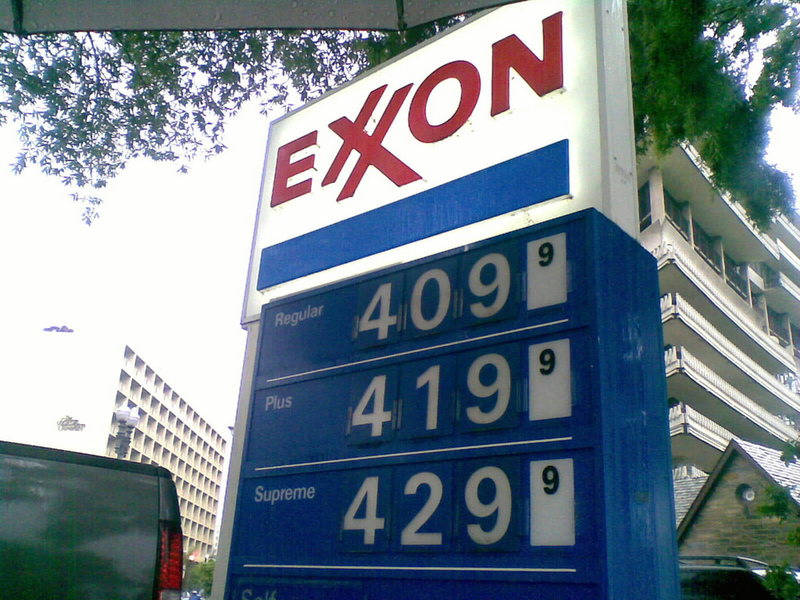 The U.S. Department of Energy forecast in 2012 that U.S. gasoline consumption would steadily decline for the foreseeable future. Economists have shown in dozens of studies that there is a robust positive relationship between income and gasoline consumption - when people have more to spend, gasoline usage goes up. During the Great Recession, Americans traded in their vehicles for more fuel-efficient models, and drove fewer miles. But now, as incomes are increasing again, Americans are buying bigger cars and trucks with bigger engines, and driving more total miles. It's hard to make predictions. Still, in retrospect, it seems clear that the years of the Great Recession were highly unusual. For decades U.S. gasoline consumption has gone up and up - driven by rising incomes - and it appears that we are now very much back on that path. Can new fuel economy standards turn the tide? Perhaps, but the new "footprint"-based rules are yielding smaller fuel economy gains than was expected. With the new rules, the fuel economy target for each vehicle depends on its overall size (i.e., its "footprint"); so as Americans have purchased more trucks, SUVs and other large vehicles, this relaxes the overall stringency of the standard. So, yes, fuel economy has improved, but much less than it would have without this mechanism. Also, automakers are pushing back hard, arguing that low gasoline prices make the standards too hard to meet. Some lawmakers have raised similar concerns. The EPA's comment window for the standards' midterm review ends Sept. 26, so we will soon have a better idea what the standards will look like moving forward. Regardless of what happens, fuel economy standards have a fatal flaw that fundamentally limits their effectiveness. They can increase fuel economy, but they don't increase the cost per mile of driving. Americans will drive 3.2 trillion miles in 2016, more miles than ever before. Why wouldn't we? Gas is cheap.